The first race of the weekend at the MotorLand Aragon circuit has finished with Román Ramos (Team GoEleven Kawasaki) in 10th place, his first top 10 finish of the 2018 campaign. The Team GoEleven Kawasaki rider started down in 18th place on the grid after being unable to make the cut through the Superpole 1, but he then recorded a solid performance in the bumpy, two-part race that followed. “After the weekend we’ve had, that started out a bit tough, I didn’t have many hopes for the race, because we haven’t been able to get any rhythm or try many things, and the bike was hard to handle”, acknowledges the Canarian. “But yesterday the team worked all afternoon and this morning the bike moved a lot better. We weren’t able to do a very good lap in the qualifying session, so we started from the back, but after that I felt great during the race and was able to push hard”. 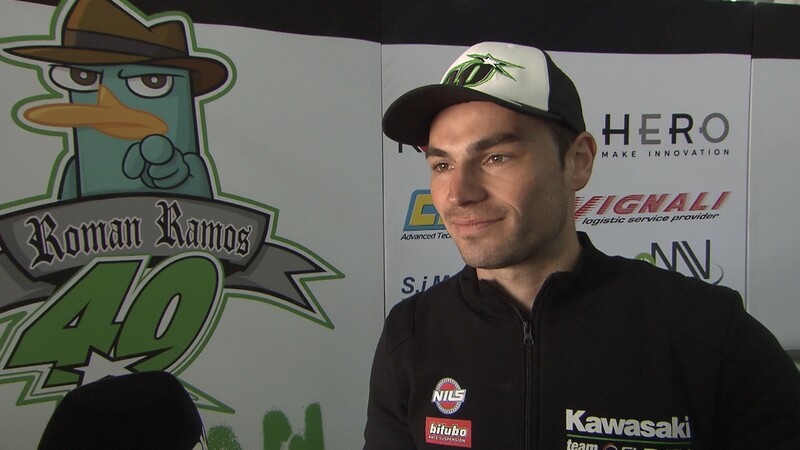 Ramos has only lamented losing out in the battle for ninth place, which he held during the middle part of the race: “At the end we were able to do a top 10 finish, which was our goal, but I’m a bit disappointed for not being able to take ninth place, which was the leading position in my group and which Toprak (Razgatlioglu) finally took. He was a bit stronger and his bike ran a bit better, so I couldn’t do anything in the last lap”. “Even so, I’m still very happy” explains the Kawasaki satellite rider. “To go from 18th to 10th feels really good and I have to thank the team, who worked really hard, and all the people, friends and family who came here to support me”. 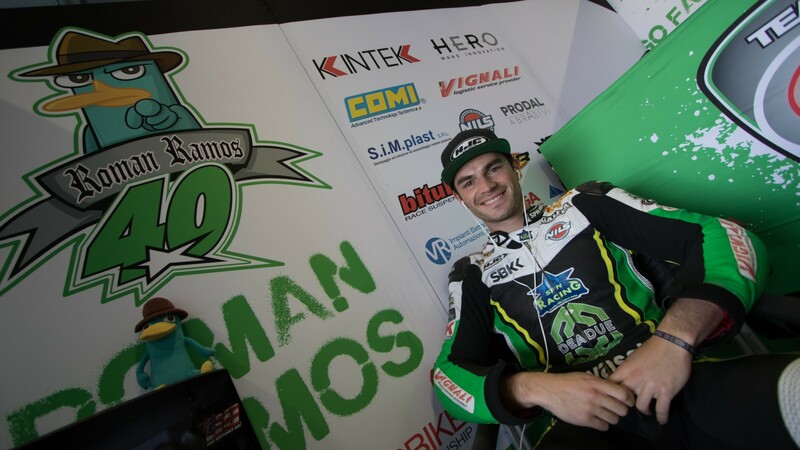 Ramos has now scored 19 points and occupies a provisional eleventh place in the championship standings, 7 points away from Kawasaki Puccetti Racing’s Turkish rider. Not obtaining the 9th place finish will penalize the Spaniard, as that would have placed him on the second row of the grid. Sunday he will have to start again from 18th, with the goal to perform a new comeback and try to repeat his Saturday result. Find out if Ramos can make it through the field again in tomorrow’s Race 2, live from MotorLand Aragon at 13:00 (11:00 GMT) on the WorldSBK VideoPass. Ramos: "I think everything will be even closer in 2018"